Still think Aquaman is a joke? Think again. DC Films introduced its cinematic take on the much-maligned superhero during a preview special Tuesday, and this incarnation aims to dispel any lingering notions of Aquaman as the chump of the Justice League. In between snippets of Batman v Superman and new footage from Wonder Woman and Suicide Squad, The CW’s DC Films Presents: Dawn of the Justice League offered the first concepts of Jason Momoa’s potent hero in action. 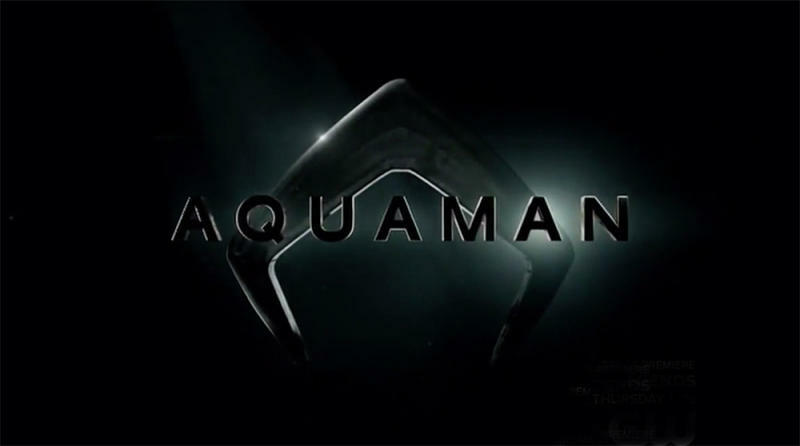 Along with the imagery, DC chief creative officer and outspoken Aqua-fan Geoff Johns explained the character, who will surface in Batman v Superman: Dawn of Justice (out March 25) and as part of the team in 2017’s Justice League before fronting an individual big-screen adventure targeted for 2018. Translation: You don’t want to mess with Aquaman. Directed by James Wan (Furious 7, The Conjuring, Saw) with Amber Heard in line to play Arthur’s action-ready wife, Mera, Aquaman is set to swim into theaters on July 17, 2018. That gives DC and parent studio Warner Bros. more than two years to craft a PR strategy to re-educate a public dubious of Aquaman’s leading-man status. While the character is a force of nature in the comics — especially since a 2012 reboot — many casual fans only know the hero from his cringe-worthy Super Friends cartoon escapades of the 1970s or as long-running punchline on HBO’s Entourage. Based on Tuesday’s opening salvo, Team Aquaman is off to a good start.